Plunging world oil prices have delivered a Christmas miracle of lower gasoline prices across most of Canada but a fuel price expert says motorists should fill up now because prices are expected to be volatile in 2019. Dan McTeague, a senior petroleum analyst at GasBuddy.com, says gasoline prices are at near-18-month lows because of global oil prices that have tumbled over the past two months on worries of an economic downturn, a U.S.-China trading tiff and concerns that members of the OPEC oil cartel won't live up to production cuts. Another analyst, Michael Ervin with Kent Group Ltd., offers another explanation for the reduced prices. He says there's a glut of gasoline on the North American market brought on by lower than expected demand and refineries being forced to produce excess gasoline in order to manufacture diesel — a gasoline byproduct that is in high demand. "It's not specific to the Alberta economy, its not specific to the Canadian economy, it really is a reflection of how much gasoline there is in a North American context right now," said Ervin. 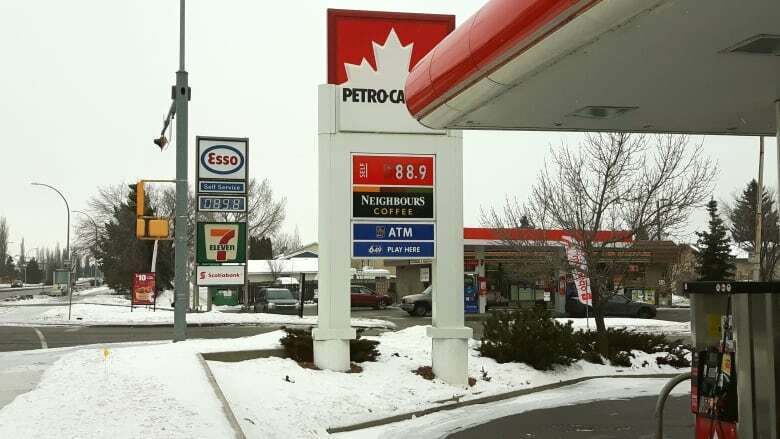 17 cents lower per litre than a year ago in Alberta and Ontario. 12 cents lower in Manitoba. Six cents lower in Quebec. 11 cents lower in Nova Scotia. Three cents lower in Newfoundland and Labrador. And in Prince Edward Island, seven cents lower. McTeague says prices in B.C. are up two to six cents per litre compared with the same time last year but would be lower if not for the effect of interruptions in fuel imports from Washington due to the outage of that state's Olympic Pipeline in mid-December. U.S. benchmark West Texas Intermediate oil prices plunged to $42.53 US on Christmas Eve, down 44 per cent from $76.41 US per barrel on Oct. 3. They rallied to $46.22 US on Wednesday but trended lower Thursday. McTeague says "extreme volatility" in oil markets are expected to continue to wreak havoc on gasoline prices in Canada in the early part of 2019. Ervin, meanwhile, thinks prices will remain low until demand picks up in the spring. An earlier version of this Canadian Press story said a fuel price expert warned motorists to fill up ahead of an expected gas price increase this weekend. The Canadian Press later moved a correction backing down on that prediction and saying the expert actually said "extreme volatility" in oil markets was expected to continue to wreak havoc on gasoline prices in Canada in the early part of 2019.